Welcome to Rockwood. This site is being updated. To contact us email: admin@rockwoodpsyc.com or phone/fax: 1-705-245-5426.
offending behavior problems, and training and consulting services. Liam E. Marshall, PhD, RP, ATSAF, is the founder and director of Rockwood Psychotherapy & Consulting. Liam has conducted research and provided therapy, assessment, training, and consulting services for addiction and offending problems for more than two decades. Our approach is evidence- and strengths-based, and is informed by positive psychology and the good lives model. We are located in downtown Midland, Ontario, Canada. For more information on the types of the services we provide, please see the "services" section below or press the "services" button in the menu above. Please see Liam's CV for a list of scientific publications. Rockwood provides psychotherapy for gambling problems and sexual addiction/hypersexuality. 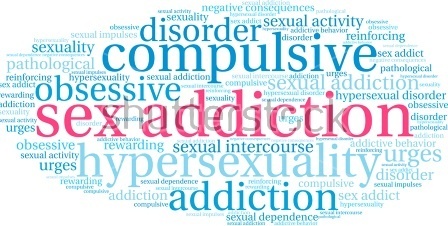 We have conducted many studies on sexual addiction and problematic gambling. Our approach to the treatment of addictive behaviour problems has empirical support and is grounded in a positive, strengths-based, approach. The goal of our treatment is to help the client live a better, more fulfilling life. There are a number of forms of gambling problems and sexual addictions and our treatment approach starts with a comprehensive assessment to identify each person's unique treatment needs. Contact us below. The Rockwood approach to psychotherapy has been demonstrated to be effective. We have examined the effect of our various treatment programs over many studies and settings and consistently found positive results in terms of improved psychosocial functioning and lower reoffence rates. We have recently made our treatment manuals available for purchase at very reasonable prices. Rockwood takes the same strengths-based, positive, approach to psychotherapy for all forms of problems behaviours. We have examined the effect of our treatment programs for other problem behaviours, such as domestic violence and anger problems, and found positive results in terms of improved psychosocial functioning. Contact Rockwood below.